Scheduled to speak with us Saturday June 27th are Barry Goldstein from 9-10:30pm Central. Followed by Sharlene Holt from Musicians for Freedom 10:30-11:00pm and finally Dr. Judy Wood joins us from 11:00 pm until 1am discussing the latest in her 9/11 research. 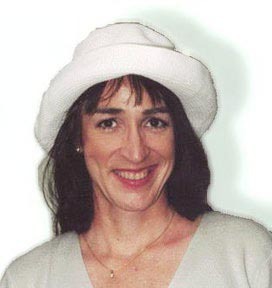 Hour 1 Barry Goldstein – Hour 2 Barry Gloldstein/Charlene Holt Hour 3 – Hour 4 Dr. Judy Wood. Grammy Award-Winning Producer Barry Goldstein’s musical experience spans many styles and genres from winning a Grammy with Les Paul for Best Rock Instrumental in 2005, to providing ambient music for Shirley Maclaine. 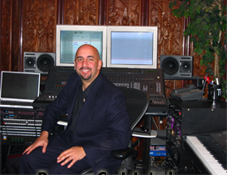 Barry has composed for NBC, ABC, Fox and Lifetime Networks as well as being an award-winning composer for film. He has produced music for EMI, Polygram, Atlantic, BMG,Land many other major record labels and has worked with some of the hottest studio musicians in the industry! Barry believes strongly in the healing aspects of music and is a translator of Sacred Sound and Inspirational Song. His passion is sharing music, or as he calls it, “The Universal Language of Love” with the world. Barry facilitates private sessions that assist individuals in finding inner harmony and balance. His music is being used globally as well as individually in hospitals, hospices, wellness centers, and individual practices. Barry also facilitates stress-reduction seminars in Fortune 500 companies and institutions to assist in creating more focus, clarity, and relaxation in the workplace. The Constitution. It’s not just a good idea. It’s the Law. WeAreChangeColorado salutes and honors all public servants, politicians, firefighters, police, and military who take seriously their oaths, we stand behind you, and beside you. Thank you for your service. 2) They underwent mid-air pulverization and were turned to dust before they hit the ground. 3) The protective bathtub was not significantly damaged by the destruction of the Twin Towers. 4) The rail lines, the tunnels and most of the rail cars had only light damage, if any. 5) The WTC underground mall survived well, witnessed by Warner Bros. Road Runner and friends. There were reports that “The Gap” was looted. 6) The seismic impact was minimal, far too small based on a comparison with the Kingdome controlled demolition. 7) The Twin Towers were destroyed from the top down, not bottom up. 8) The demolition of WTC7 was whisper quiet and the seismic signal was not significantly greater than background noise. 9) The upper 80 percent, approximately, of each tower was turned into fine dust and did not crash to the earth. 10)The upper 90 percent, approximately, of the inside of WTC7 was turned into fine dust and did not crash to the earth. 11) One file cabinet with folder dividers survived. 12) No toilets survived or even recognizable portions of one. 13) Windows of nearby buildings had circular and other odd-shaped holes in them. 14) In addition to the odd window damage, the marble facade was completely missing from around WFC1 and WFC2 entry, with no other apparent structural damage. 15) Fuzzballs, evidence that the dust continued to break down and become finer and finer. 16) Truckloads of dirt were hauled in and hauled out of the WTC site, a pattern that continues to this day. 17) Fuming of the dirt pile. Fuming decreased when watered, contrary to fumes caused by fire or heat. 18) Fuzzyblobs, a hazy cloud that appeared to be around material being destroyed. 19) The Swiss-Cheese appearance of steel beams and glass. 20) Evidence of molecular dissociation and transmutation, as demonstrated by the near-instant rusting of affected steel. 21) Weird fires. The appearance of fire, but without evidence of heating. 22) Lack of high heat. Witnesses reported that the initial dust cloud felt cooler than ambient temperatures. No evidence of burned bodies. 23) Columns were curled around a vertical axis like rolled-up carpets, where overloaded buckled beams should be bent around the horizontal axis. 24) Office paper was densely spread throughout lower Manhattan, unburned, often along side cars that appeared to be burning. 25) Vertical round holes were cut into buildings 4, 5 and 6, and into Liberty street in front of Bankers Trust, and into Vesey Street in front of WTC6, plus a cylindrical arc was cut into Bankers Trust. 26) All planes except top secret missions were ordered down until 10:31 a.m. (when only military flights were allowed to resume), after both towers were destroyed, and only two minutes (120 seconds) after WTC 1 had been destroyed. 27) Approximately 1,400 motor vehicles were towed away, toasted in strange ways, during the destruction of the Twin Towers. 28) The order and method of destruction of each tower minimized damage to the bathtub and adjacent buildings. 29) More damage was done to the bathtub by earth-moving equipment during the clean-up process than from the destruction of more than a million tons of buildings above it. 30) Twin Tower control without damaging neighboring buildings, in fact all seriously damaged and destroyed buildings had a WTC prefix. 31) The north wing of WTC 4 was left standing, neatly sliced from the main body which virtually disappeared.